Homeowners and painting contractors can agree that they want to use the best paint with the highest quality and smooth finish when applied on the walls. We can also all agree that we want a paint that holds up to everyday family and house hold routines. From showers in the bathroom to cooking in the kitchen, relaxing in the family room or getting a good night sleep in the bedroom, to watching a movie in the basement or theatre room, you want to choose a quality paint that is durable, easy to clean and lasts awhile. Empowering yourself with information to make informed decisions on choosing the right paint for the painter or your house painting. 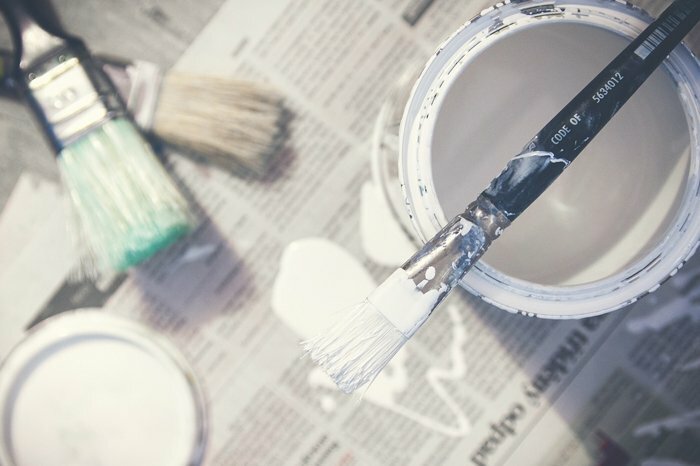 Reputable house painters use a quality paint product because they want to leave the homeowner with a professional painting job completed, a return client and of course they want you to refer them to your friends and family. Here we share a few tips that make an interior paint good enough to use in your next painting project. A good quality paint can cover any old paint or colour on the walls within two coats. If the already existing colour is extremely dark, like a navy, eggplant, red or black it may require three coats of painting. One of those paint coats would be of course a primer with a tint to it that would match close to the new paint colour being painted. This way after the primer coat is applied only two coats of paint to finish are suffice. The cheaper brands of paint will not cover in two and may require three to four coats. This will cost you extra not only in buying more paint but also be charged more by the painter doing the work. As it requires more of the painters time and labour. A good quality paint will hold up to stains. Whether it’s oil stains like the ones in the kitchen from cooking or spilling coffee or wine. The paint should be durable enough that should these accidents happen, you can easily wash it away with a damp cloth, light dish soap in a light circular motion of rubbing off the stain. Frequent washing or wipe downs on paint can cause it to become duller and others become shinier from frequent cleaning. Knowing which paint will resist the scrub test is good information. Your experienced house painter should be able to provide you with the useful information. They should be able to guide you through which of the paint products and paint finishes are best for the room it will be painted in. The painter will know which paint stands up best to the scrub test. If the paint wears or fades away after a few scrubs then it’s clear that’s not the right paint finish to go with especially if it’s going to be in the kitchen which is the busiest room of the house. A good paint won’t get worn down or have the first layer fade away after removing a stain. A good quality paint will leave a smooth finished surface. No paint brush or paint roller marks are left behind. Some paints may leave a bit of a grain like finish almost like running your hand over sand is what it will feel like. The lesser quality paints will not only give poor paint coverage when painting but will show the marks of the paint brush and paint roller. In fact you may see the exact spots you started and stopped the painting. Keep in mind that even a very high quality paint will not change the pre-existing surface of the walls. Talk to your local Ottawa Painter about services you may need such as repairing the walls with either new plaster, drywall repairs or you may actually have to replace the drywall if you want a brand new wall free of previous faults. These would be most commonly found in homes built in the 1950’s or 1960’s that have had many coats of paint applied without the proper pre paint preparation. 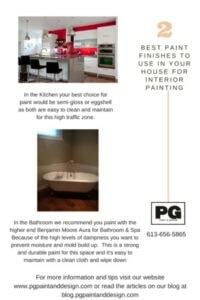 Using the proper paint in rooms that are high in moisture makes the biggest difference. A good quality paint would have to be resistant to mildew, steam, and if your room gets full sun exposure. You would want to choose the best moisture resistance paint product in these rooms so that the painting job lasts for a few years and you don’t see streaks from the shower steam or kitchen vapors dripping down the walls. Most of today’s paints are low to no VOC’s (Volatile Organic compounds). VOC’s are solvents realeased in the air when the paint dries and have been linked to problems for people with asthma or allergies. Paint manufacturers today make almost all their paints safer and environmentally friendly. Find out the difference between water based paints and solvent based paints. 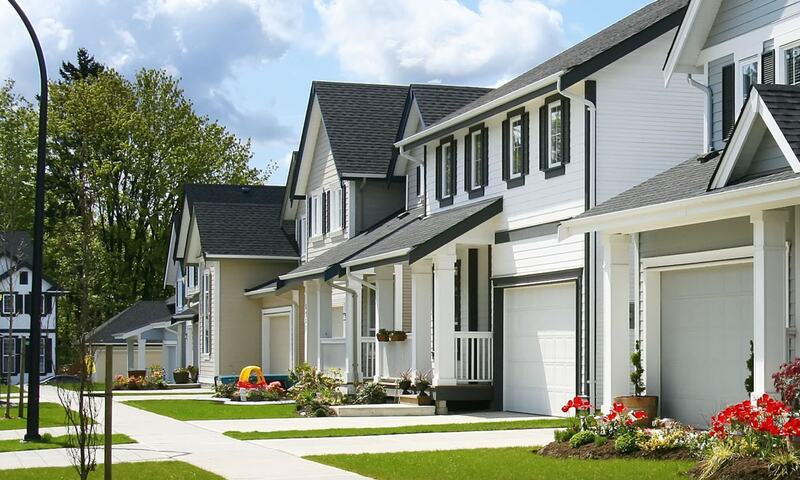 With a paint colour consultation from your local painters in Ottawa you’ll be able to discuss the different grades of paint like 1st line, middle line, or top line. The prices vary of course from anywhere between $30.00 to $38.00 for the 1st line, $42.00 to $49.00 for the middle line and the top line costs can be anywhere starting from $53.00 right up to $80.00 per gallon. As well as go over the differences between the paint finishes you will choose. Note that each paint manufacturer has their version of 1st line, middle line and top of the line paint products and prices vary amongst them. It also depends on where you buy your paints. Whether its a local Ottawa home improvement store or a professional paint store that specializes only in paint. Paint finish refers to how the paint will dry. You want to choose a flat, eggshell, semi-gloss, high-gloss or satin finish. Knowing the difference between Paint Finish or Paint Sheen will help guide you in the selecting between flat or matte, satin or eggshell and semi-gloss to high gloss. 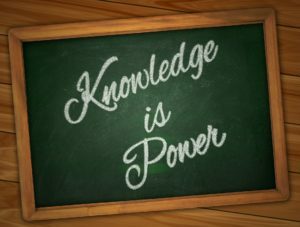 Today’s homeowner and consumer is empowered with knowledge right at their fingertips. All they have to do is ask Google the question: Which paint is the best quality paint? or What is the best paint to use for painting my house? and within seconds a huge list of answers appears. In the primitive years before the internet and google, homeowners and consumers relied only on what their house painter recommended to them. They counted on their painters to have the knowledge and expertise to tell them what is the best paint to use. Back in the day, house painters were considered decorators too. Historically the painter was responsible for mixing the paint, keeping the pigments, oils, thinners and driers all in their supply box. They would actually use their knowledge and experience to make the proper mix to get the right paint colour right on the house painting job site. Of course there were not as many paint colour choices then as there are now. Thank goodness for paint companies. They’ve developed and formulated hundreds of paint colours, tones and hues, that make it easier for the painter to just buy the paint colour the homeowner selects. The store where the paint contractor gets their supplies from can mix a few drops of this pigment or that in order to get the perfect colour match, for the painting project, as they now have the formulas provided to them from the manufacturers. Today’s paint products are mostly water-based paints over solvent based paints. The house painters duties have not changed much over the years. They are still responsible for the painting and decorating of your house, condo, apartment, or residence. The painter is a tradesman responsible for making your home beautiful, by applying the best quality paint your budget can afford and providing a professional painting result. 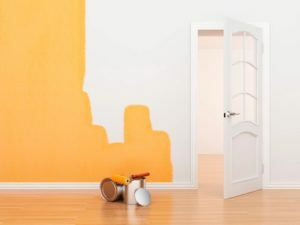 The primary responsibility for preparation of the painting surface such as the walls, ceilings, baseboards and trim, ensuring patching holes in drywall, using painter’s tape where necessary to protect surfaces that are not to be painted, applying the paint with brush and or paint roller and the clean up afterwords, are all still the same duties for all house painters. The purpose of painting is to improve the aesthetic of a home and to protect it from damage by water, natural elements like the sun and our extreme cold Ottawa winters. Painting can also protect from rust and corrosion and mold. Professional painters are also responsible for all the pre painting preparation. Things like sanding, wallpaper removal, caulking, drywall or wood repair, patching, stain removal, filling nail holes or drywall defects with plaster or putty, taping, and clean up. You get what you pay for in both the paint product you buy and the house painter you hire. Some painting contractors will want to save themselves money and use the least expensive paint, applying only one finished paint coat and want to be in and out of your home as fast as possible. 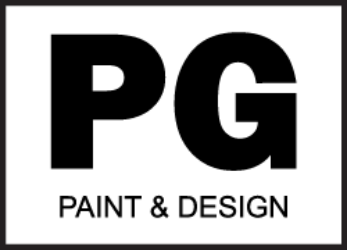 At PG PAINT & DESIGN Ottawa House Painters, we want to ensure you are fully informed of all your choices, provide you with knowledge of over 30 years in the painting business and ensure that you get the best end result so that you can enjoy your paint for years. Need help with finding the right paint, choosing a paint colour or paint finish?